My November run was the HSBC Anniversary Run 2011, a fun run to celebrate its anniversary by supporting Aklat Sisikat Foundation (SAS) is a non-profit professional Philippine organization that promotes the love and habit of reading in Filipino children. I ran with Cath and Dom (who was late) in the 5k category of this race. 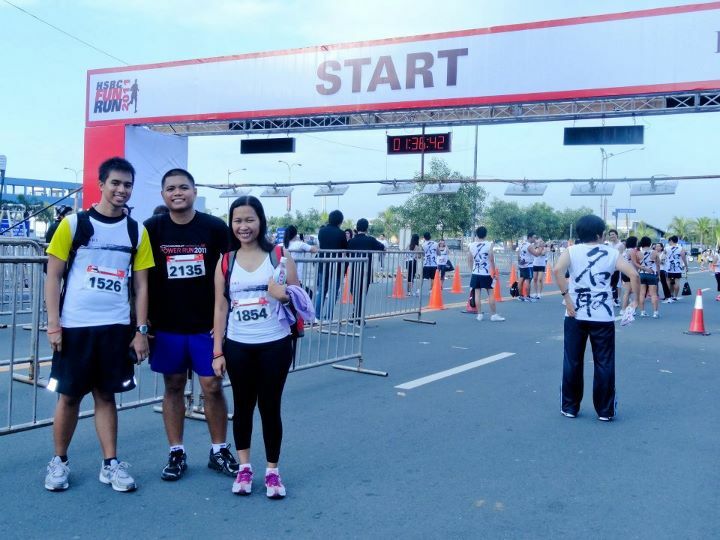 It was also Gee Ar's first 10k race so we didn't see each other until the end of the race. This was an aimless run and my pacer Speedy Dom wasn't there so I didn't really achieve another PR. 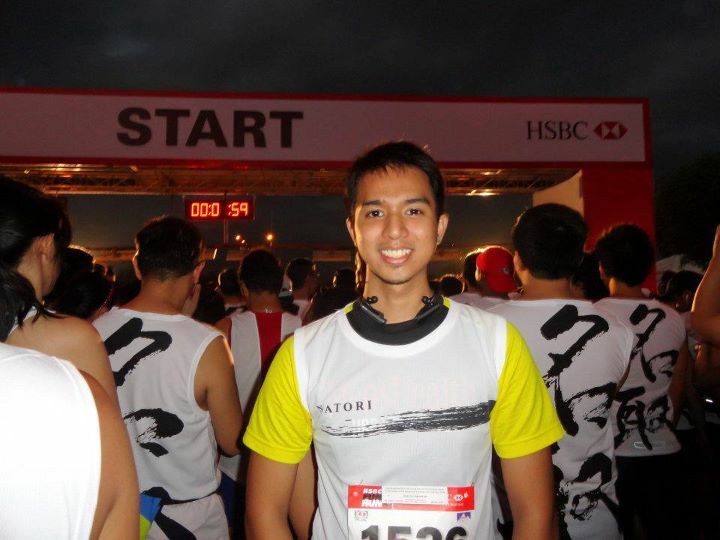 It was my first time running a race in MOA, though. 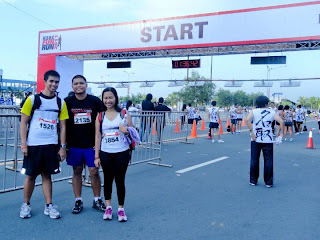 The Jose Natori singlet didn't hug my body well so I initially wanted to wear my MH Urbanathlon shirt but Cath urged me to wear it so I wore it over this shirt. It was a fun race but it was just okay for me.